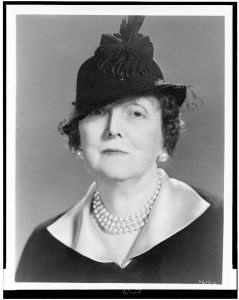 Emily Price Post is most known as an expert on etiquette, but she didn’t even publish her first book on the subject until she was 50-years-old. (Listen up! You’re never too old!) 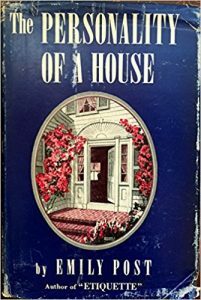 Before that book she was a novelist, journalist, decorator, and architectural consultant. Before those, she was a doted on only child of progressive parents, debutante, heiress, society wife and mother. A very busy life for a woman that COULD have lived a life of leisure. Emily Bruce Price was born on October 27, 1872 (according to her gravestone) in Baltimore MD, to Bruce and Josephine Price. Bruce was an upcoming, then quite famous, architect from a wealthy family; Josephine also came from wealth and could trace her lineage straight back to the Mayflower. 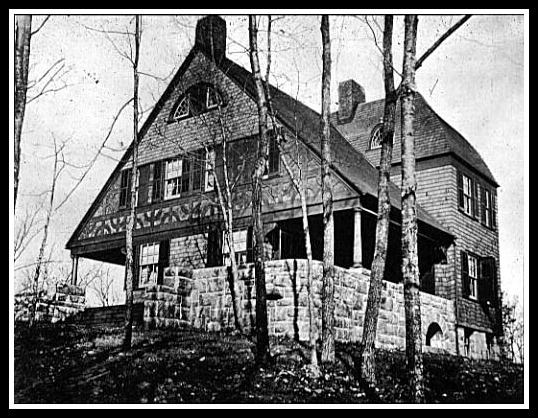 Emily was doted on as a child, she spent as little time as possible in school and as much time as possible with her father who showed her how buildings are designed and built and thought it a shame that Emily wasn’t a boy so he could become an architect, too (“progressive” is relative.) 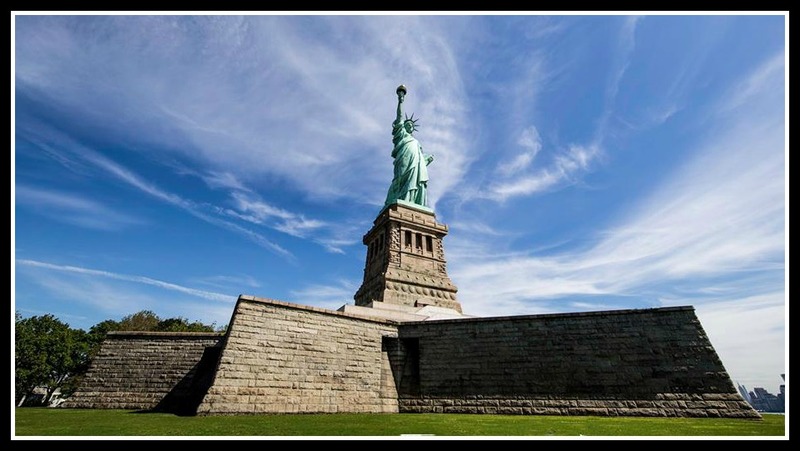 The base of the Statue of Liberty and the hills lakes and rustic opulence of Tuxedo Park, NY were her playground. She did what was expected of her in the 1800s as New York society flipped their calendars to the 1900s: She went to finishing school, had her debut into society, met a man with good breeding and married him. The Edwin Posts had two boys, Edwin worked (hard? lucky? you pick) as a stock broker, and, other than a few years on Staten Island, lived in Manhattan and Tuxedo Park. Yup, on(and in) the papers they had it all…but no. They couple had nothing in common, Bruce’s financial luck was about to run out and, oh yeah, he had a thing for chorus girls, duck hunting and boating. After a blackmailing scandal Emily had had enough. Done. Finished. She divorced Edwin and set off to make a name for herself. We cover her career ups and downs in the podcast, but basically while raising the boys (then sending them to boarding school) she started to write novels, freelance pieces for magazines, and started to work as an architectural and home designer…not too shabby for a woman who probably didn’t have to work for an income in the first place, huh? 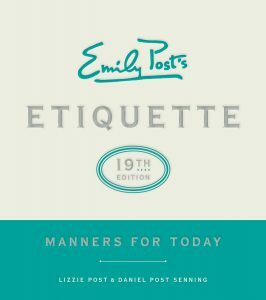 After Etiquette was first published in 1922 Emily’s legacy began to solidify. The huge best seller made her name and etiquette synonymous. 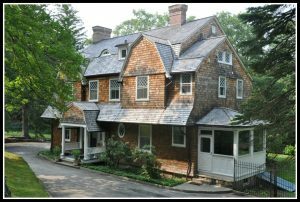 …and her new favorite home on Martha’s Vineyard. 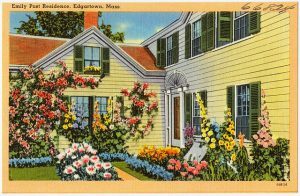 This is a postcard, hopefully Susan will replace it with a selfie (or not) when she strolls by this summer. Etiquette has been revised over the years to keep up with how people REALLY live and is currently in it’s 19th edition. There is a whole library of other advice and etiquette books written either by her or her descendants. 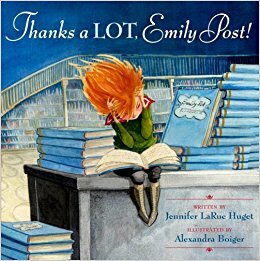 Dear Emily, If there is an opportunity for you to share something that is quite messy but you think may be well received, should you? 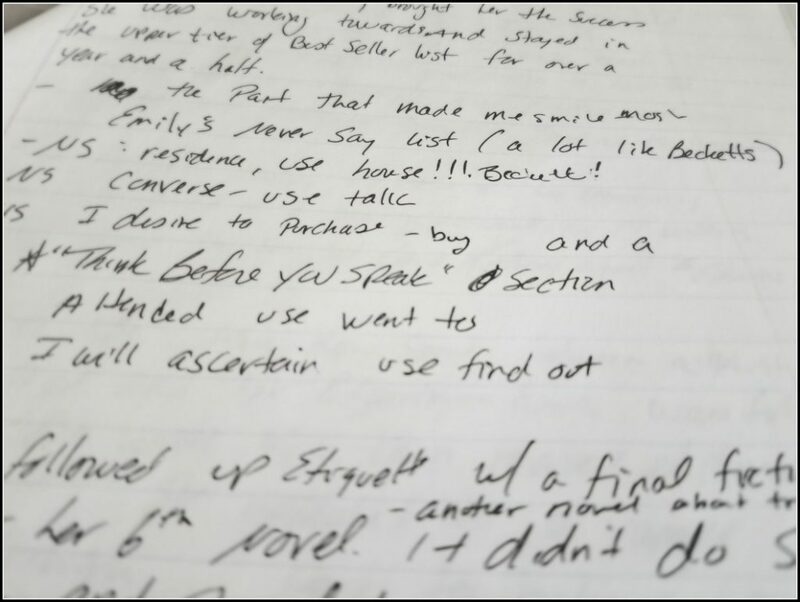 Part of Susan’s recording notes: Something in Etiquette that made her think of Beckett. 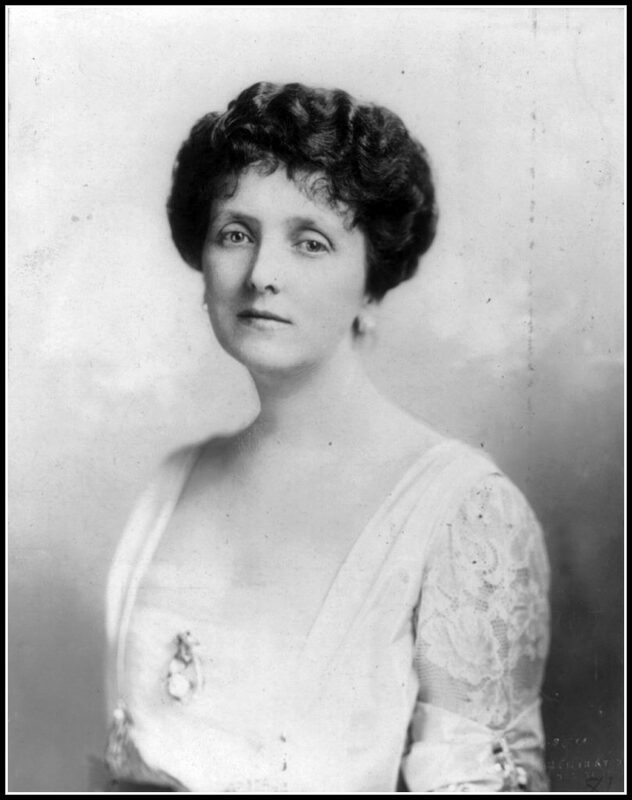 Emily Post died on September 25, 1960 of natural causes (polite nod to Post family), her ashes are buried at the Tuxedo Park Cemetery. You should start here at the Emily Post Institute. It has everything from photos, to history, the Awesome Etiquette podcast and an encyclopedia of advice for all your etiquette-based, searchable database needs. Obviously, you should go pick up a copy (lift with your legs) of Etiquette, but also give her fiction a whirl. 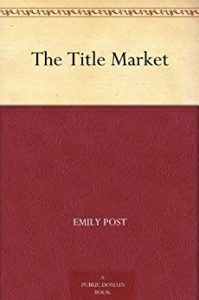 The non-fiction book that isn’t online but if you can find a copy, grab it if only to flip through and appreciate the mountain of knowledge Emily possessed had.